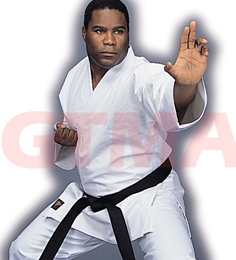 Currently we are only offering White Gi's online. Check back for further additions. Mediums Gi's are 50/50 Polyester and Cotton. Set includes jacket, pants with traditional drawstring waist and white belt. Heavy Gi's are 100% cotton canvas; extra stitching for extra durability and snap; with draw-string pants. Taxes of 7.75% and shipping of $2-$4 (depending on size) is not included in the price.